Although they share a similar name, Rolex’s Yacht-Master and their Yacht-Master II are very different watches. Historically, the “II” designation at the end of Rolex watch names denotes an evolution or upgrade to the existing line of watches. However, the Yacht-Master II is not an update to any of Rolex’s previous watch lines, and is truly unlike anything that has ever appeared before in a Rolex catalog. The Yacht-Master II has a handful of differences from the Yacht-Master I. First released in 1992 as a luxury-oriented version of the traditional Rolex sport watch, the original Yacht-Master did not have any specific features or complications that would make it specifically tailored to boating or regatta races. Featuring a depth rating of only 100 meters, and a bi-directional rotating bezel craft entirely from either solid 18-karat gold or 950 platinum, the Yacht-Master is a watch that is designed for those who enjoy the aesthetic of sport watches, but whose lifestyles do not actually require all of their highly-specialized function. With a 40 mm case, traditional 3-hand display, and a dial that follows the usual Rolex sport watch design, the appearance of the original Yacht-Master can most accurately be described as a luxury-oriented version of Rolex’s iconic Submariner. Although a few key aesthetic differences help distinguish it from Rolex’s other lines of watches, the overall design of the Yacht-Master is one that is fundamentally similar to the classic Rolex sport watch. In contrast, the Yacht-Master II is a highly specialized regatta chronograph that features a programmable countdown timer with mechanical memory that allows for on-the-fly synchronization to the official countdown clock. With a case diameter of 44 mm, and a bezel and dial design that are specifically designed for use with its regatta timer, the Yacht-Master II is a watch that was designed from the ground up for boat racing. 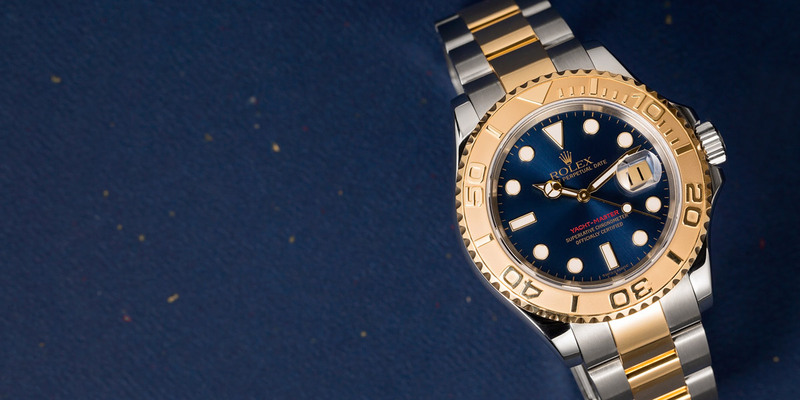 The Yacht-Master was cut from the same cloth as the Submariner. Although the aesthetic differences between the Yacht-Master and the Yacht-Master II are rather dramatic, an even bigger difference lies in the two movements that are used to power each watch. While one movement follows a conventional time plus date setup, the other is a totally unique and highly specialized movement that is unlike anything found in any other watch. The standard, 40 mm, men’s size Yacht-Master is powered by Rolex’s proven and reliable Caliber 3135 movement. Although the Caliber 3135 has been around since its initial introduction in 1988, it is a rock-solid and dependable self-winding movement that has a proven track record of being able to withstand the test of time. The Yacht-Master II houses Rolex’s state-of-the-art Caliber 4161 chronograph movement, which is made up of more than 360 components and packed full of Rolex’s latest and most innovative technologies -a competitor to the complex Sky-Dweller. The patented function of the Caliber 4161 movement is so highly specialized and unique, that some of the parts of the movement must be made by UV-LiGA, a micro-manufacturing technology that has been mastered entirely in-house by Rolex. This watch uses the Caliber 3135, a proven movement that stood the test of time. Given how little the Yacht-Master and the Yacht-Master II resemble one another, some of the less obvious differences can often be eclipsed by the stark visual separation between the two lines of watches. Among the almost endless list of aesthetic differences between the two timepieces, are a number of other differences that pertain to a specific part or function of the watch. From a visual perspective, the bezel on the Yacht-Master and the bezel on the Yacht-Master II could not look anything less alike. Consequently, it can be easy to overlook how differently they function, and how differently the various parts attach to their respective watches. The precious metal bezel on the Yacht-Master has as 60-minute scale engraved on it, and has been given bidirectional motion so that it can be used as a rudimentary timer. This type of bezel function is common on sport watches, and can be found on a number of different timepieces, from a wide variety of manufacturers. 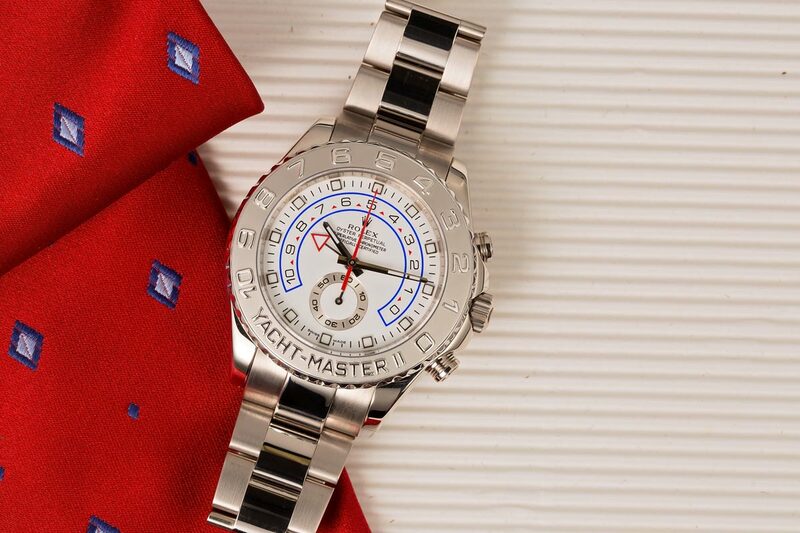 The Yacht-Master II is a sport watch for those in the yachting community. 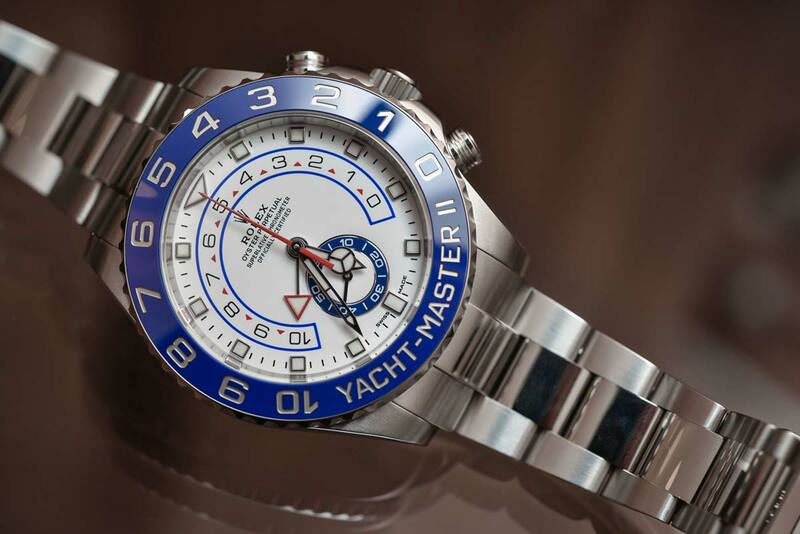 On the Yacht-Master II, the bright blue, Cerachrom insert with 0 to 10-scale and “Yacht-Master II” name in large letters gives the bezel a truly unique appearance. The look is so distinct that one could easily overlook the special function of the Yacht-Master II’s bezel. Unlike traditional rotating bezels that are simply connected to the exterior of the watch, the Ring Command bezel on the Yacht-Master II links the outer rotating bezel to the internal works of the movement, allowing for easier and more efficient setting of the Yacht-Master II’s adjustable countdown timer. 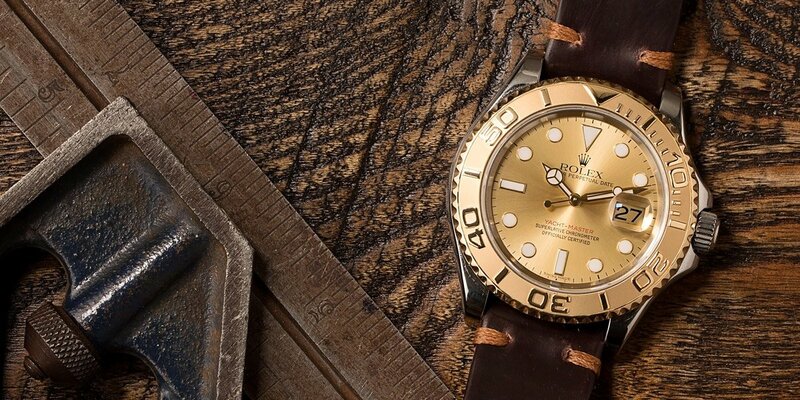 Both the Yacht-Master and the Yacht-Master II are excellent luxury watches from Rolex, however in terms of functionality and appearance, the two timepieces could not be any further apart. One watch adheres to the traditional form and function of the classic Rolex sports watch, while the other is an entirely new approach to the regatta chronograph that is unlike anything that Rolex has ever put forward. Due to how different they are, neither timepiece can be said to be “better” than the other; and instead, the Yacht-Master line as a whole benefits from the diversity of the various watches that make up its collection.